You’ve got cancer. You’ve got several bags of toxic chemicals connected to your body, hoping the chemo kills the tumors. Or, you’re lying beneath a huge X-ray machine, whose beams are burning the cancer out of you. In the middle of this a photographer approaches and asks if he can take your picture. Why not? you think, so you say yes. He does, and a few weeks later there you are in a local magazine illustrating a story about the hospital where you’re being treated. This is much of what I do — enter other people’s lives just long enough to tell a story (or, more accurately, a small moment of a story). I’m always surprised and forever in debt to those who grant me entrance, even when their lives might not be going particularly well in one way or another. 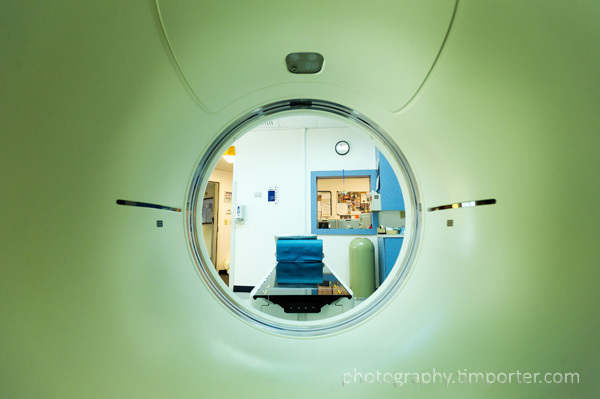 The inside-out view of CT scan machine above and the strip of photos below were part of a story in Marin Magazine about the Marin Cancer Institute and its director, Dr. Francine Halberg, who is shown below talking with colleagues. 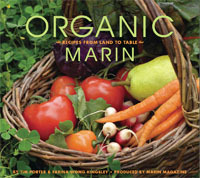 This entry was posted in On the Job and tagged cancer, chemo, Francine Halberg, Marin, Marin Cancer Institute, Marin General Hospital, Marin Magazine.